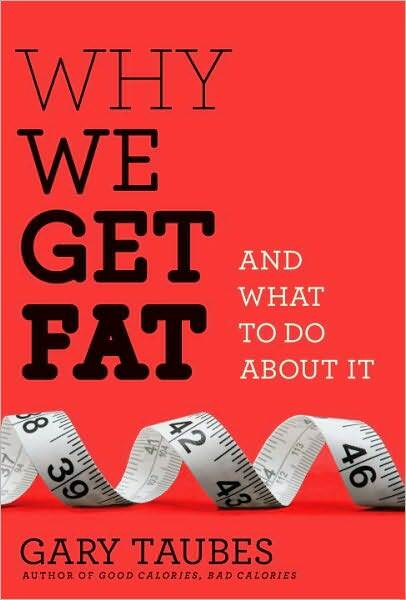 I started reading the book by Gary Taubes called Why We Get Fat. A lot of the diets, dieting books and programs out there talk about obesity in terms of laziness. As if the only problem simply lies in being too lazy to lose weight. I disagree with that. Yes, I was a pretty lazy person. I watched a lot of TV, would spend all weekend on my couch eating and escaping in movies. I didn’t exercise. I didn’t make healthy food choices. I was TOTALLY lazy. But that wasn’t the only reason I was fat. There were a lot of factors. That statement was so sad to me. I see this happening in the younger generations. I think my generation, or maybe my younger brother’s was the last that was required to take PE in school. While gym class gave me distress and anxiety, if it’s the only time I got any physical exercise I’m reluctant to support canceling the requirements. Even if the kids are just running around playing on their own (no structured sports) that’s better than nothing. Growing up I lived in the city with no neighborhood and no kids nearby. I read a lot. I played by myself. Solitary, sedentary activities. Where Michael and I live now is the perfect place to raise kids. It’s the end of a friendly cul-de-sac near a park and a school. It’s safe and there’s lots of space for kids to play. My hope is that my future kids will appreciate that. Put down the Wii Remote, the cellphone, the TV remote, and run around! It definitely was for me. Food was my issue. Food addiction. 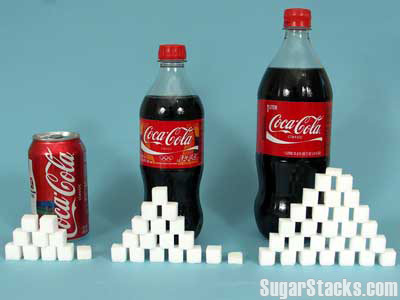 Sugar addiction. No structure. Not paying attention to portion sizes. I was malnourished–just in the opposite way that word implies. The author goes on to claim that weight loss is not as simple as “calories in vs. calories out”. That was the common theme of the book. I disagreed with his statement for obvious reasons: I DID lose the weight by restricting my caloric intake and exercising. While I agree with a lot of the science behind these two food choices (bad carbs vs. good carbs) it felt like the book was promoting the Atkin’s Diet. I’ve never tried the Atkin’s Diet; from what I’ve read I think parts of it are probably a good idea. I think eating too much bread is the downfall of a lot of weight loss attempts (myself included) but I also don’t agree with completely denying myself a certain kind of food. Vowing to “never” eat bread or “bad carbs” seems foolish. Eating them in small portions once in awhile seems reasonable to me. Avoid these (simple sugars) foods: white sugar, brown sugar, honey, maple syrup, molasses, corn syrup, beer, milk, flavored yogurts, fruit juice, fruit. 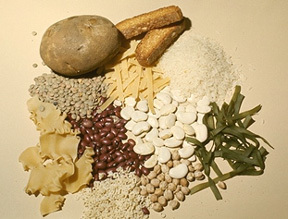 Avoid these starches: grains, rice, cereals, flour, cornstarch, breads, pastas, muffins, bagels, crackers, starchy beans like pinto, lima, black beans, carrots, parsnips, corn, peas, potatoes, French Fries, potato chips. The bottom line of “Why We Get Fat” = it’s a book reiterating information I already knew and it’s message is “STOP EATING CARBS.” Hmmm. Somehow I don’t feel satisfied after finishing this read. QUESTION: Have you read this book? What was your opinion? I haven’t read it and as a general rule tend to avoid reading any book of this type. There are as many opinions as there are authors, and they sometimes contradict each other. So I tend to simply follow the common sense : Eating less, moving more and avoiding processed foods as much as possible! I’m with you Sarah! I think my plan is obviously working. 😉 Avoiding processed foods is hard but I’m doing much better! I followed Atkins for a few months and it *worked* for me as far as losing weight quickly. That was before I knew much about nutrition, though, and I couldn’t advocate it now that I do. I’m pretty sure I also lost every ounce of muscle I had and it took a long time to build that back up. And, carbs (whole grain, complex) are the energy source used most directly by your brain and most easily by your muscles, so it’s no wonder I felt “weird” while I was on it (especially the first few weeks). One take away lesson that I did learn from it was to scrutinize the nutritional value of the carbs I ate. Now I focus more on whole grains, legumes, etc. Of course, the same goes for protein sources – lean meats are better for you than bacon even if Atkins won’t tell you that! Thank you Coco for a first hand story about Atkin’s. I’ve heard similar things from people who have tried it. I agree with you 100% about needing some carbs (good carbs) for energy. That’s scary that you felt weird and lost muscle. Yeah that might show as a loss on the scale but it doesn’t sound healthy to me. I read this book. The first part was annoying to get through, but I actually enjoyed the second part. I don’t believe that carbs are the devil, for sure, and I think he goes to the extreme in eschewing them. He actually does eat as he preaches and looks pretty good, which just shows how different diets work for different people. I loved his summary about the fat myth, though. I have believed in eating more fat for a while now and it is good that more and more information is getting out about the flawed studies. I think more people would do better just to get rid of all the processed foods and eat real foods. Carbs from apples, grapes, and broccoli aren’t the problem. I wondered if you had read this book! I agree with you–as long as we limit the AMOUNT of carbs and eat less processed foods we’ll lose weight. My friend’s motto of “eat what grows in the ground” is a good motto. I’ve read a little about his philosophy when I was doing restricted carbs and sugar. FWIW, I do know that I could eat more calories and still lose weight on restricted carbs and sugar than I can now on Weight Watchers where I am not really keeping track of my carbs or sugar. A co-worker was doing Belly Fat Cure, and she dropped 40 lbs in about 4 months. Now, is that a sustainable way of eating for the rest of your life? It wouldn’t be for me, for sure. ANY diet will work and the more drastic it is the more drastic the results. But you are right–it’s not attainable and we can’t maintain that! You’re filling up my amazon wish list with your book reviews lately! This also sounds really interesting, I didn’t read all the quotes you posted, so I can discover them myself when I read it. That’s how I spent my summers as a kid–on my aunt’s farm in Oregon. She’d banish us all outdoors for the day and we only came inside for lunch. We had so much fun running around playing. Have you read his first book, “Good Calories, Bad Calories”? It presents a much more substantial scientific basis for his claims. He basically digs back through nutrition and dieting research since it began. As someone who has issues with restricting any one food or food group as well, I don’t know that his findings are practical for everyone, but as someone trained in research, his interpretation of the data is compelling. It certainly makes you think, not just about weight, but about many of the diseases in our society as well. I haven’t read that book but I will look for it from the library. It’s not that I didn’t like the author (or some of his message) I just didn’t agree with dietary restrictions.